Some of the most basic and yet most important advice I give people who are studying Russian (especially at the beginning, though one should always keep this in mind) is to listen carefully to how something is pronounced and imitate. When someone begins studying Russian (and most textbooks are set up in this way), they generally start with the alphabet and learn what each letter is supposed to sound like (and then maybe they start singing an a, b, zed song). While there may be nothing inherently wrong with this approach, the problem I see with this “alphabet-first” method is that, though there are a number of “the same” letters in the Russian and Latin alphabets (and as much as I’ve even heard some people who teach Russian say that learning the Russian alphabet is not so hard because almost all the letters “except a few” have similarities to the Latin alphabet), these corresponding letters have a different quality in Russian than in English (and this is one of the reasons why a foreigner speaking Russian is so often immediately detectable). 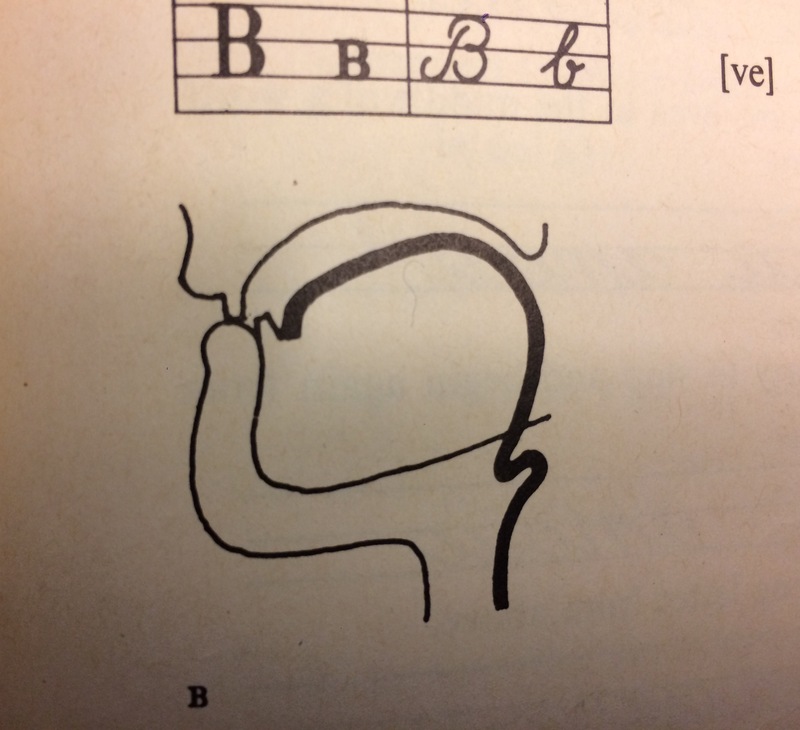 Firstly, there is the concept of soft and hard sounds, and most consonants have these two variants. Whether a consonant will be pronounced hard or soft depends on the following letter. Secondly, most vowels also have several variants in sound, which are affected by (1) their falling under the stress or not and (2) their position in relation to the stressed vowel. Do you know what A means, little Piglet?” / “No, Eeyore, I don’t.” / “It means Learning, it means Education, it means all the things that you and Pooh haven’t got. That’s what A means. It’s a quaint little statement, but not so funny in and of itself, and as with most translations into Russian, this is better and works out a lot nicer in Russian (ok, so I’m being a little facetious). But it demonstrates my point in an excellent way. Thus, if you first learn the alphabet, even its “correct” pronunciation, and then start pronouncing words according to an “alphabetical” pronunciation, you have the likelihood of sounding like a poorly programmed computer, because you will probably not know which letters should be pronounced hard and which soft (if you were even told or read anything about such a concept). And this is an example of the result of teaching according to such schemes. Now compare an actual Russian conversation example and I think you will notice quite a difference in the quality, as I refer to it, of the sounds. One of the reasons why I wrote this post criticizing such methods is because I made some of the errors I talk about. When I started studying Russian, there was no YouTube, nor many of the multitude of now-available textbooks and, especially, audio materials, nor was I able to study in a formal setting (because there was none for many miles). In addition, when I finally was able to take a class, the teachers didn’t focus very much on proper pronunciation, though they were mostly native speakers. As far as pronunciation, I learned from them by imitation. All this being said, I think that an imitation approach combined with textbook study (and hopefully with a teacher that can correct your mistakes and give specific explanations that may not be so easy to deduce from a book) is going to get better results quicker. The first part of what I’m talking about is the approach behind the “listen and learn” audio courses that you so often find promising to “teach you Russian in 10 days!” However, as I hinted at, I really think that any person who is serious about learning a language (and not just being able to say a set number of phrases) needs to buckle down and put the rest of the effort into book lernin’. Thus, I just happen to have the pleasure to recommend a couple of courses that take this imitation approach. More than any other I highly recommend the Total Russian Foundation Course: Learn Russian with the Michel Thomas Method (I get commissions to, for instance, support the work of this site, if you purchase through this link). This method, in contrast to any other I’ve heard, is basically a recording of a person teaching two students a language. Sounds lame, but, believe it or not, it works. The teacher starts out building bridges between Russian and English teaching the students (and having them repeat) words along the way, and goes on to build phrases upon single words and word associations then the use of these words in different contexts (and corrects pronunciation along the way). This method allows you to “be part of the class” and learn from other’s successes and mistakes. In the second place, I would recommend the Pimsleur Russian courses (this link is to a search page showing all their options, which have expanded since I listened to this course). Their approach is “one on one” with a voice (pretty monotone most of the time) telling you words and phrases, explaining things, and asking you to repeat. This course was the first course I ever studied by and I was very pleased with it, because it really focuses on proper pronunciation, and I always considered it to be the foundation of my, not to boast, but good pronunciation (though I still had a whole lot to learn). In the near future, I will talk about some materials that I would recommend to accompany a course such as those above.